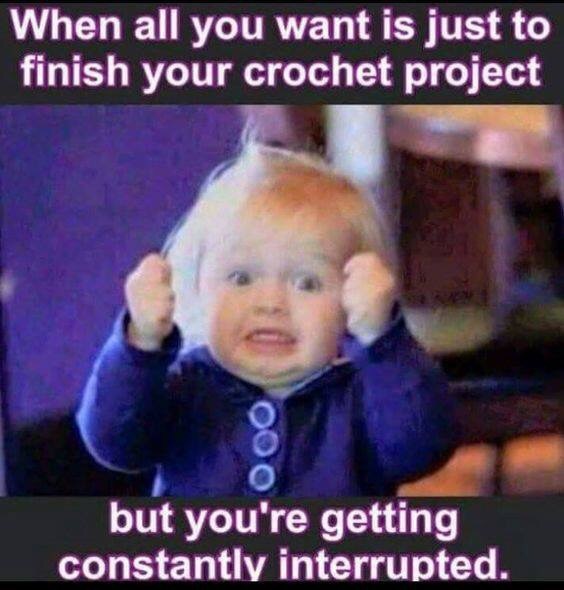 Show of hands 🙋🏻 Who has started this project? Are your squares done and joined? Once they’re joined you want to continue with a few rows of Offset-Filet-Net Stitch. 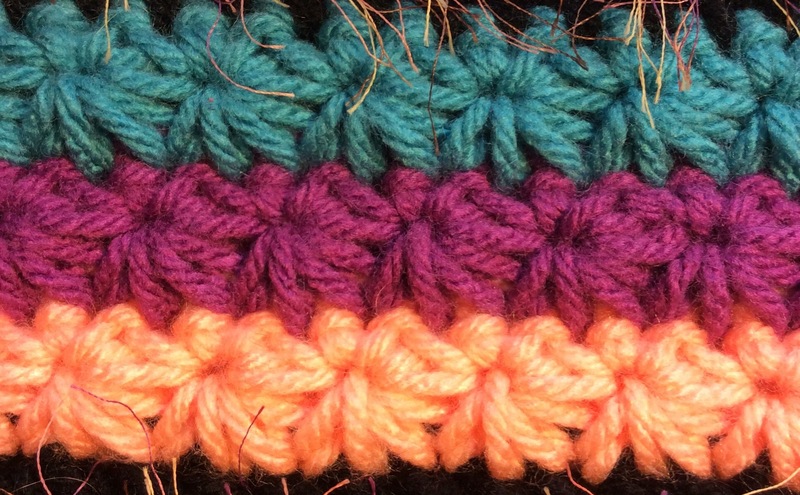 This stitch is a double crochet, worked into the spaces between the stitches of the former row, instead of the loops at the top. Note: If you take a closer look at the picture you’ll see that I stitched the first and last dc of every row in black as well. You can save yourself that hassle 😏 My thought was to give the piece an instant border, in case you don’t want to add one at the end. Oooops 😳 it’ll definitely needs a separately stitched border. Ready? Alright – here we go…. 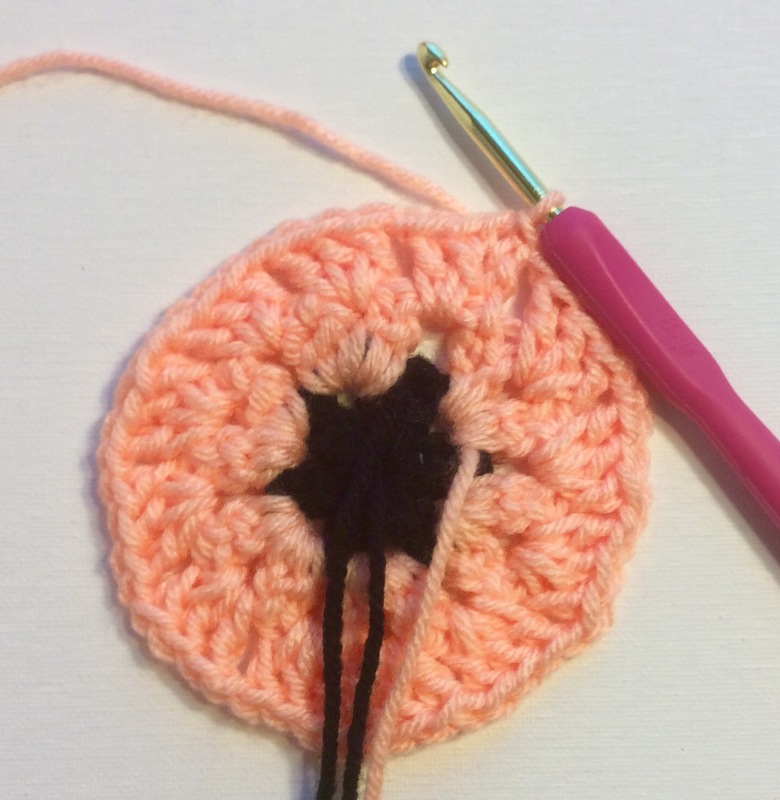 Attach your yarn to the corner space of the first square and work a dc. One dc between the next 2 dc of the previous row. *One dc between the next 2 dc. 2 dc in ch1 space of the previous row. Continue from * to the last corner space. Place 1dc in that space. 2dc between the top 2 vertical stitches of the join, 2 dc in the space next to it. Repeat for all squares and join rows. Attach a new color, and ch3. 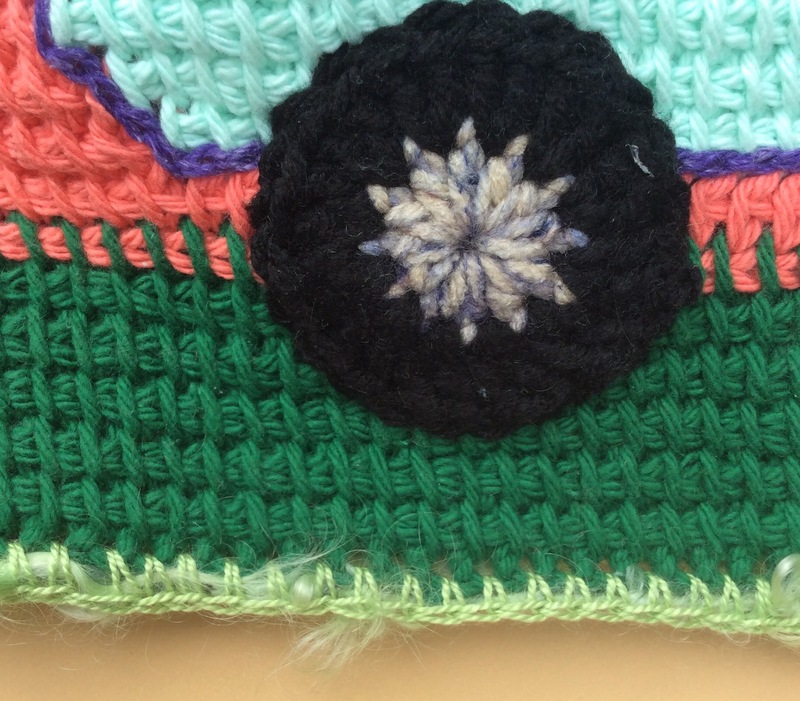 Work both rows in the Offset-Filet-Net Stitch. With black yarn work one row of Offset-Filet-Net Stitches. 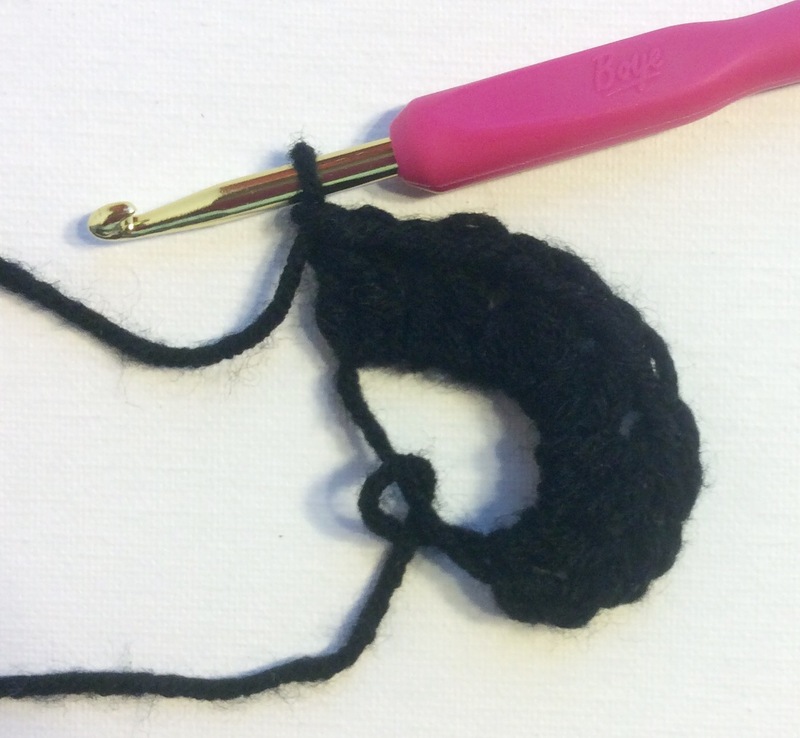 A Bobble Stitch = 5dctog (5 double-crochet together) – yo, 1dc, yo, insert hook into designated stitch, yo, pull through stitch, yo, pull through 2 loops, yo, repeat until you have 6 loops on your hook. 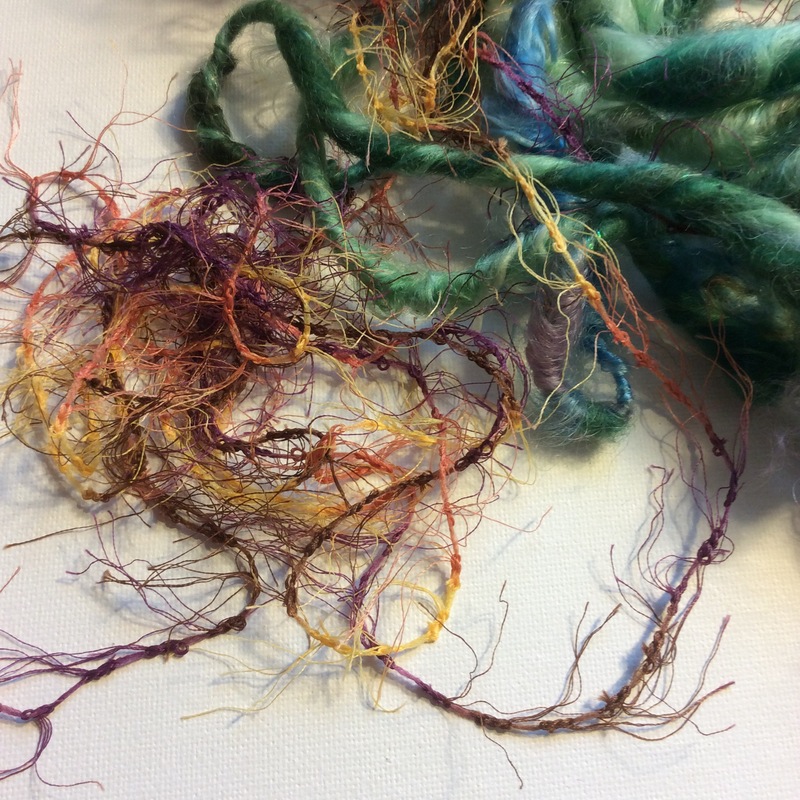 Yo, pull yarn through all 6 loops. Chain 1. 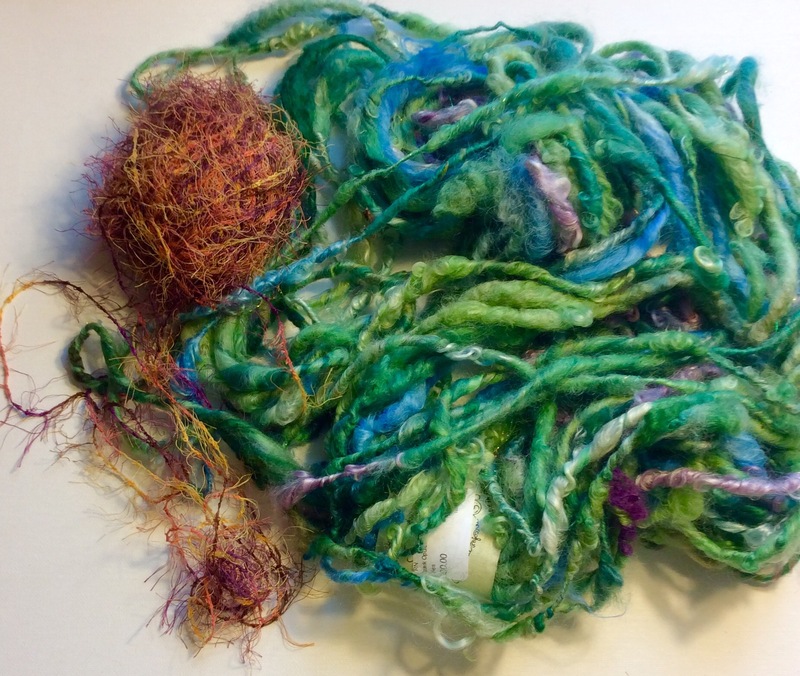 Start this row by attaching a new yarn color. 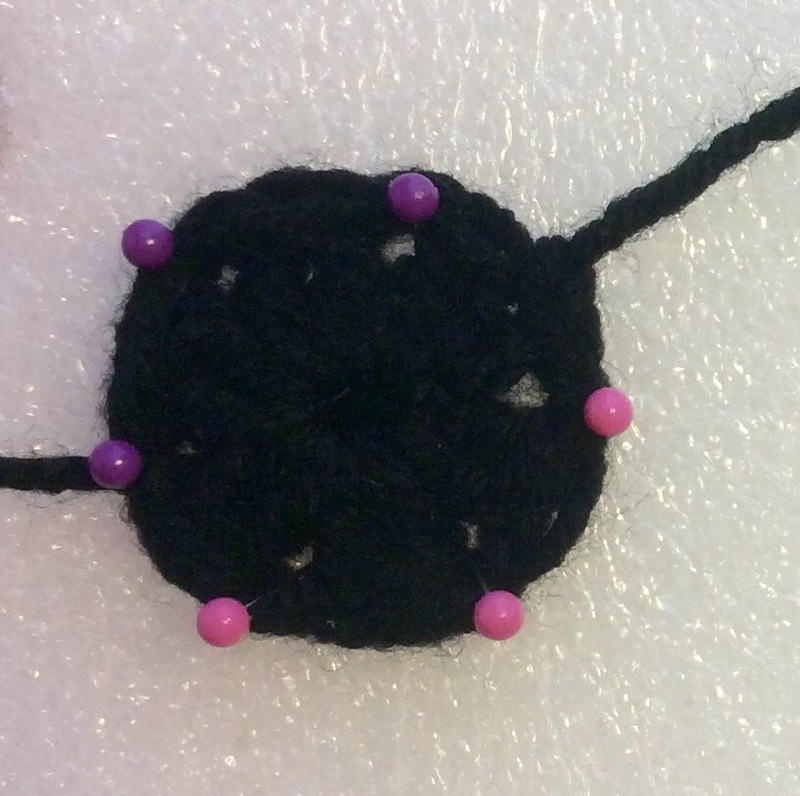 2sc, *sc in eye of bobble, 3 sc, repeat from * to the end of the row. There was a lot of trial and error…translation – frogging 😄 But I ironed out the problems, and so far I’m pretty happy with it. 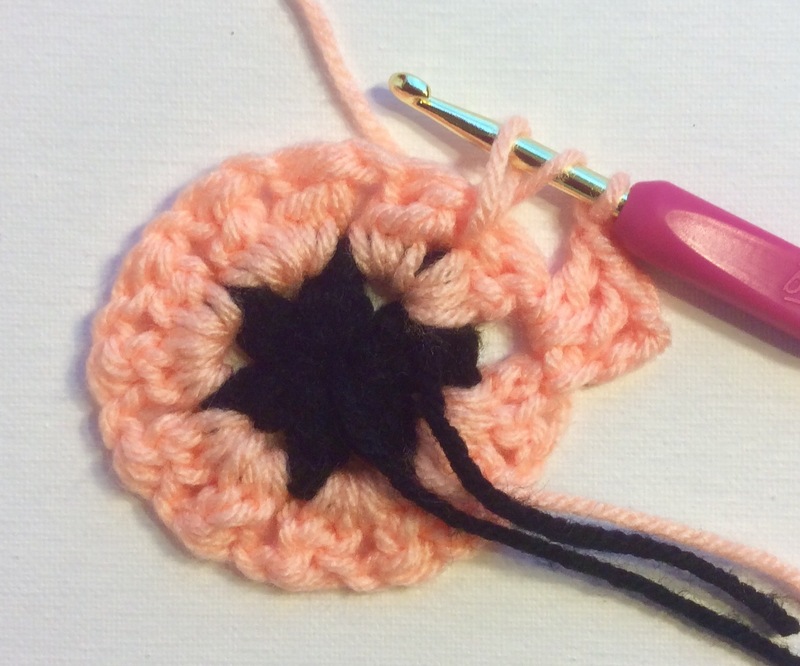 So today I’m going to show you how to crochet the ‘Flower Grannies’. They are your foundation. 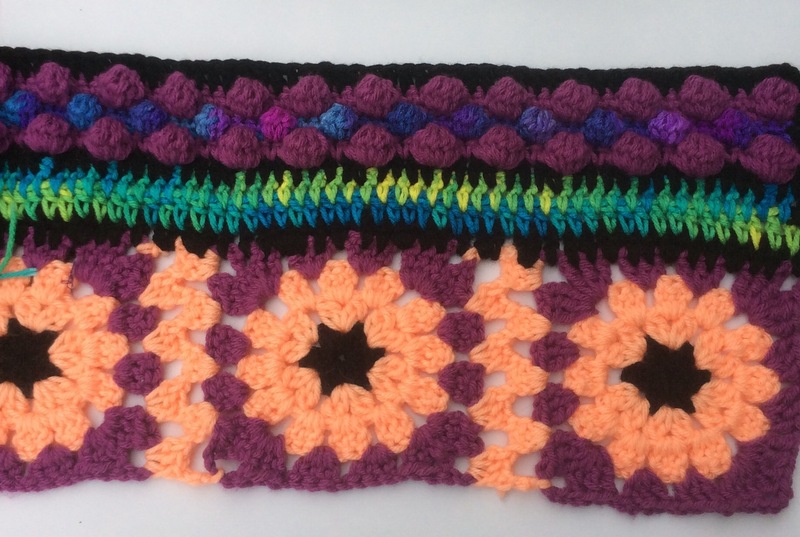 There are 5, for a total width of 32″ (including the connection crochet) We’ll work a 3″ border around everything at the end for a total of 38″. 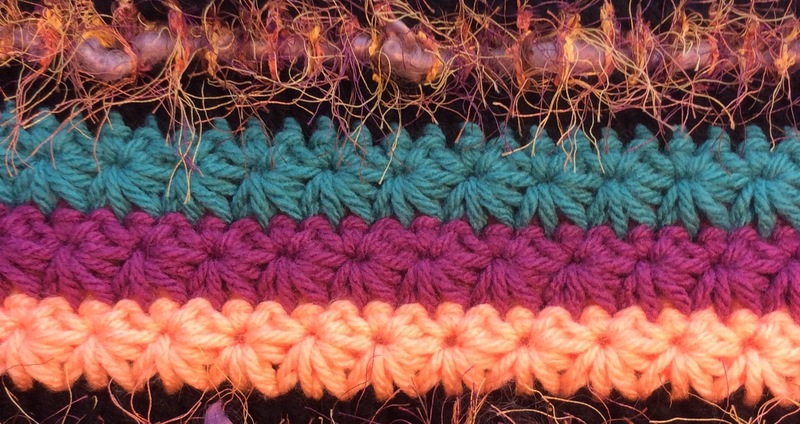 dc2tog = yo, insert hook in designated stitch, pull yarn through, yo, through 2 loops. 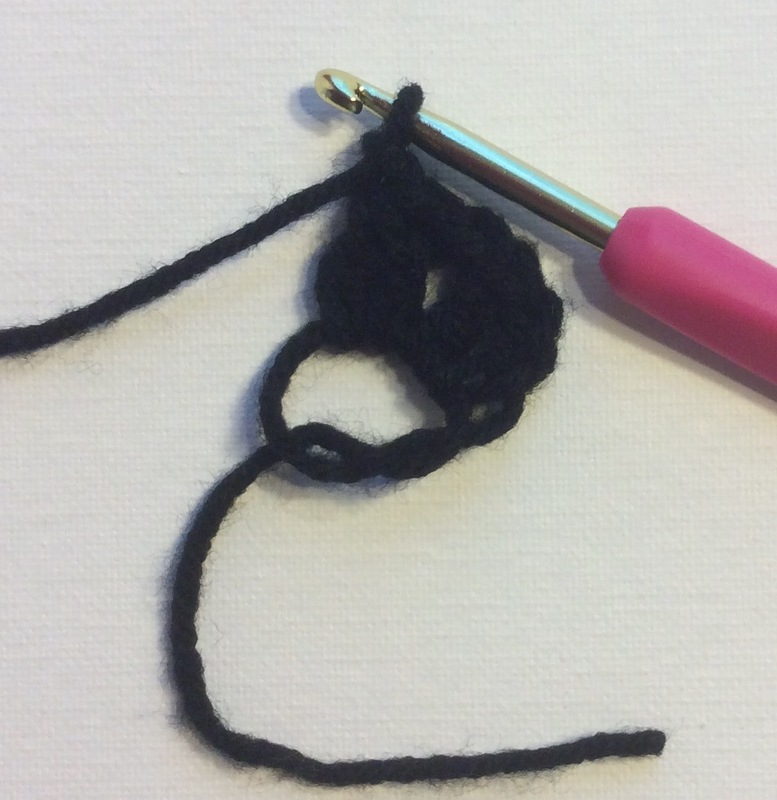 Yo, insert hook into same stitch, pull through. Yo, pull through 2loops, yo, pull through remaining 3 loops. 2. Connect your second color. Ch 3, dc in ch1 space at the base of the chain. Ch1, dc2tog in same space. Ch1. Work *dc2tog, ch1, dc2tog groups in each ch1 space. = 12 groups of 3. 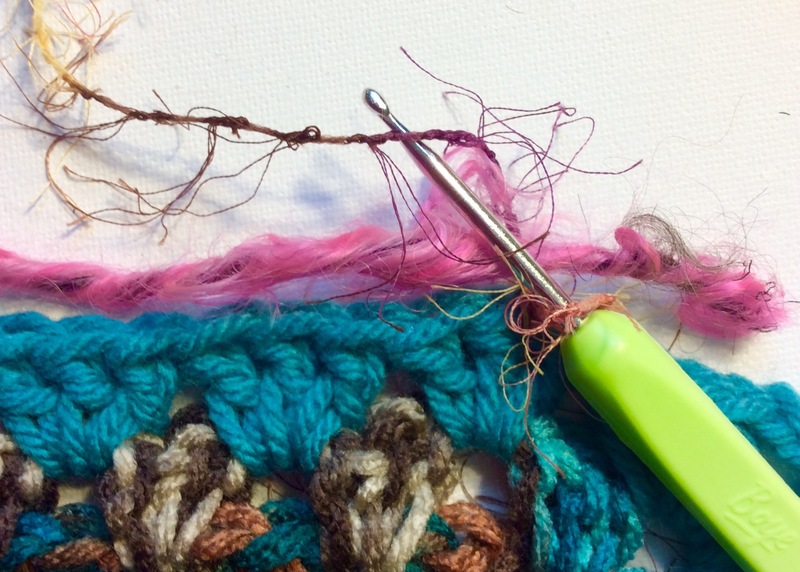 Connect with a slipstitch. Fasten off. 4. Connect your third color. Ch3, 2dc in space at the base of your chain. Ch 1, 3 dc into next ch1 space. 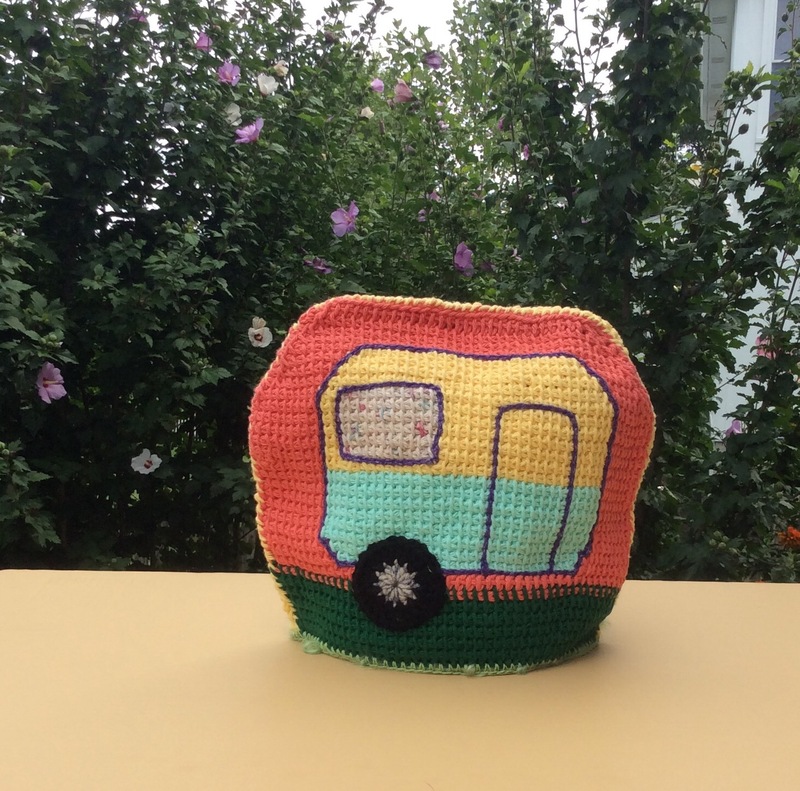 Ch1 – now you’ll work the corner. 2 htr, 1tc, ch3, 1 tc, 2 hdc. *Ch1, 3dc in next ch1 space. Ch1, 3dc in next ch1 space. 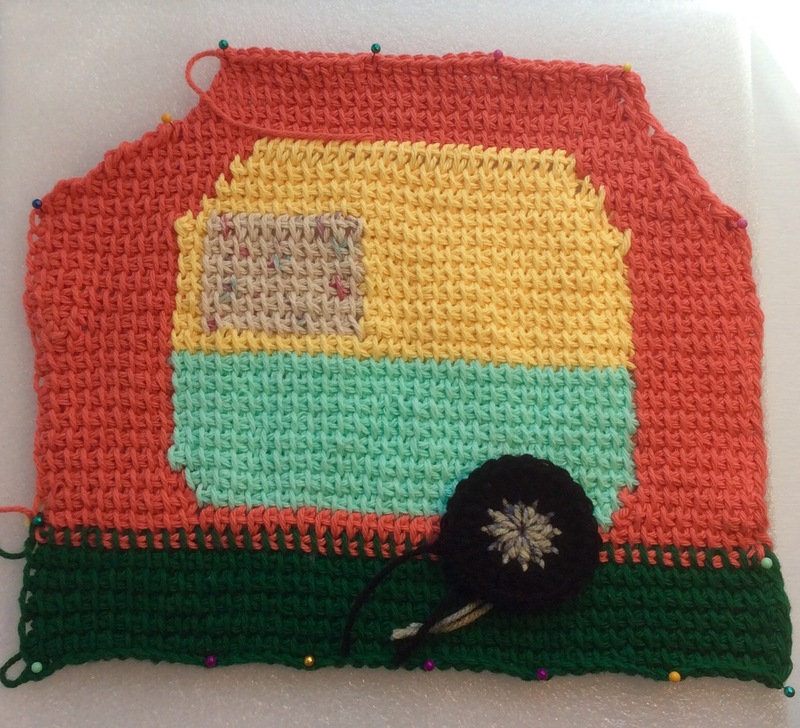 Ch1, crochet the corner. Repeat from *. End with a corner. 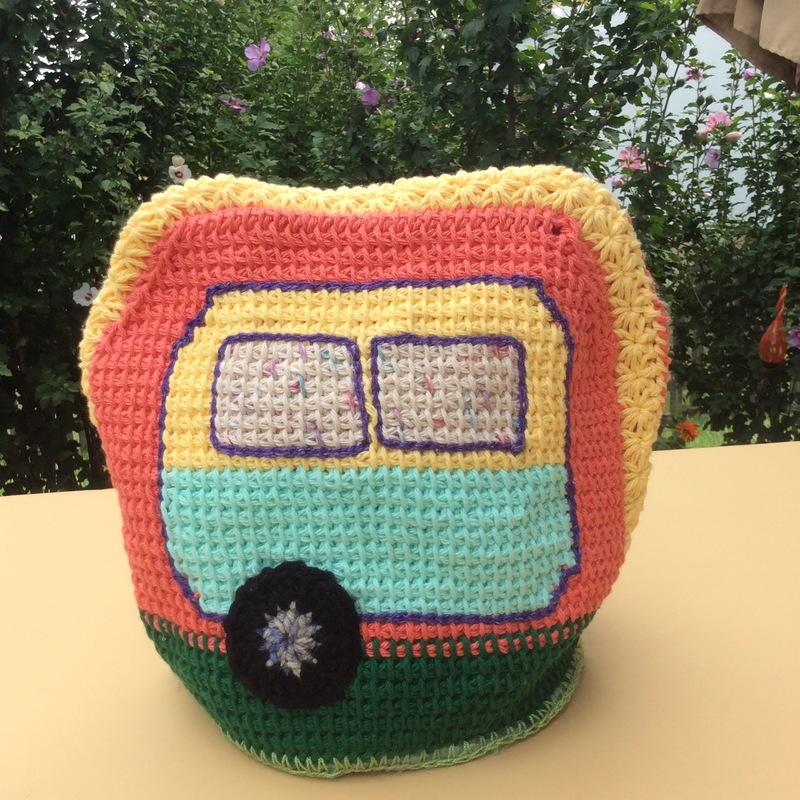 Connect with a slipstitch, and fasten off. Done! 😍 Isn’t that a nice weekend project? Let me know what you think about this project! Will you join in? 💜 That would be pretty awesome!